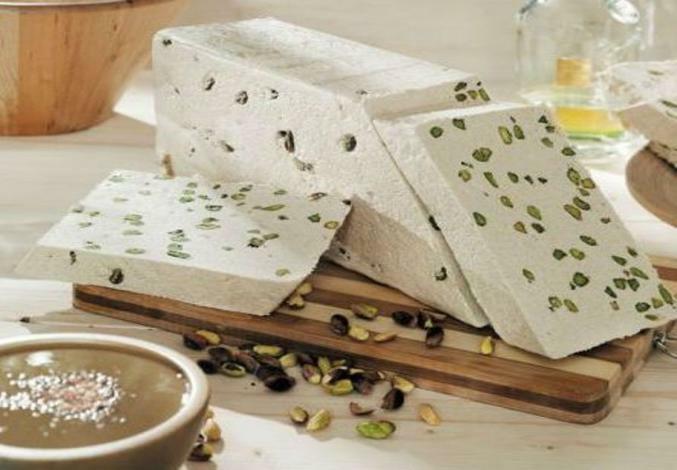 Experience Halva, the delicious eastern Mediterranean treat enjoyed by so many for generations. 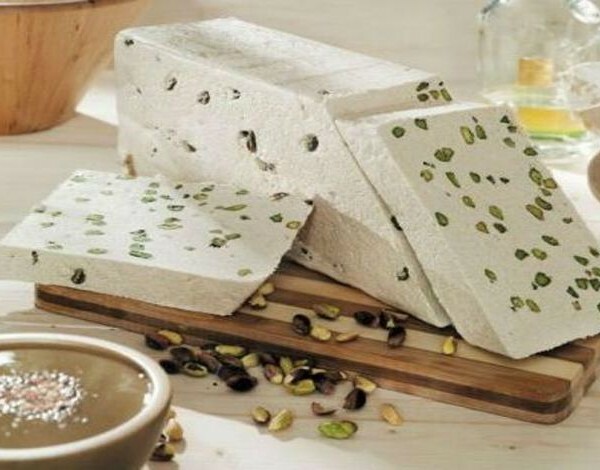 This flavor combines crushed sesame seeds and pistachios for a unique, light, “nutty” taste. No animal fats in the product. Keep it in the cool and dry place. Protect it from sunlight. Product Info: Halal and Kosher, may contain hazelnut, walnut, almond. Category: Food, Other Sweets, Soup, Jam & Paste, Sweet. 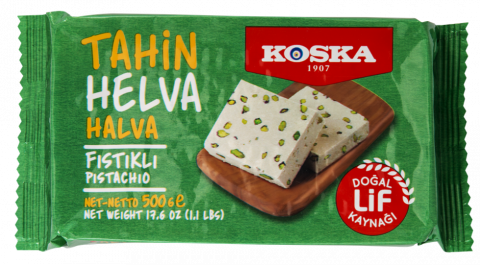 Product Tag / Keyword :Turkish pistachio halva, Ramadan, Kanada, pazar kahvaltisi, samfistikli helva, where to buy turkish pistachio halva in Canada, Toronto, Mississauga, Montreal, Calgary, Ottawa, Edmonton, Mississauga, Winnipeg, Vancouver, Brampton, Hamilton, QuebecCity, Surrey, Laval, Halifax, London, Markham, Vaughan, Gatineau, Saskatoon, Kitchener, Windsor, Regina, Richmond, Richmond, Hill, Oakville, Burlington, Oshawa, , Catharines, Cambridge, Kingston, Whitby, Guelph, Ajax, Thunder, Bay, Vancouver, Milton, Niagara Falls, Newmarket, Peterborough, Sarnia, Buffalo, Fredericton, Alberta, British Columbia, Manitoba, New, Brunswick, Newfoundland and Labrador, Nova Scotia, Ontario, Prince Edward Island, Saskatchewan, Northwest Territories, Nunavut, New York, Los Angeles, San Francisco, Arizona, Washington, Florida.